Eventscapes: Transforming Place, Space and Experiences directly examines the interrelation between events’ simultaneous dependence on and transformation of the places in which they are held. This event-environment nexus is analyzed through a variety of international case studies including different kinds of well-known sporting and cultural events such as Vivid Sydney, the Vancouver 2010 Winter Olympics and the Tour Down Under international cycle race, among others. 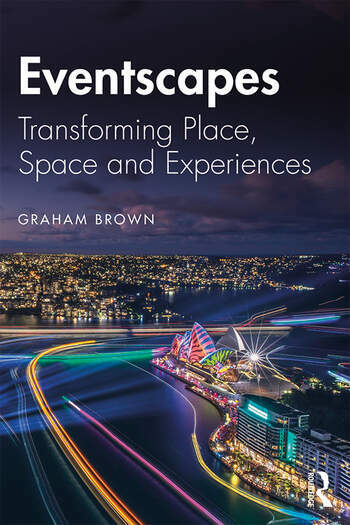 Chapters focusing on visual design, explore the opportunities, at different spatial scales, to develop an event ‘look’ and the ways in which an event experience can be enhanced through connecting and engaging with the local culture and community. As well as the planning and management of events, the book draws on event experience, dramaturgically examining the roles played by authors, actors and the audience and emphasizes the participation of multiple groups in the co-creation of event experiences. This will be invaluable reading for those studying events and the environment. Adopting a multidisciplinary approach, it also draws on geography, urban and cultural studies, image studies, architecture and design, environmental psychology, and event management, and will be of use to a broad academic audience.